The field of personal injury law is expansive. At Anapol Weiss, our award-winning personal injury attorneys handle every type of accident and injury imaginable. Larger injury law firms in Philadelphia may offer a broad service scope. However, they may not provide the same level of support throughout the duration of your claim. 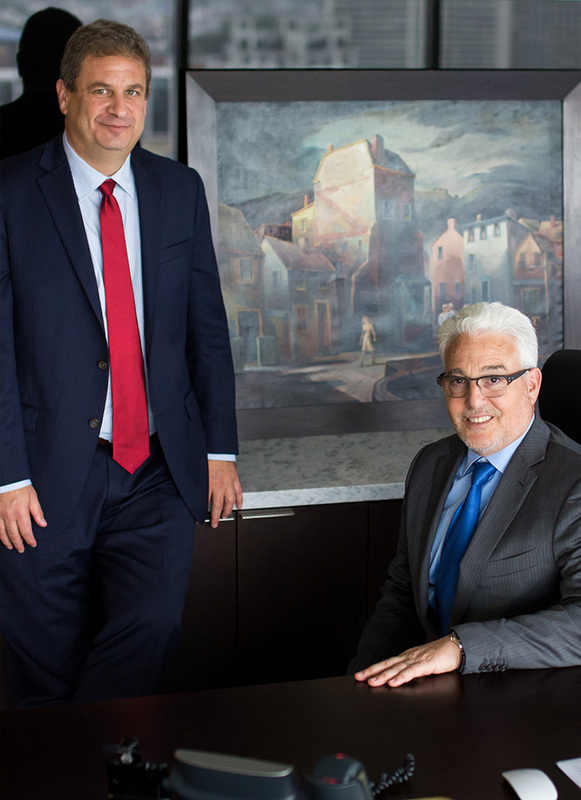 At Anapol Weiss, our top-rated Philadelphia personal injury lawyers focus on five major areas of personal injury law: general injuries, product liability, medical malpractice, mass tort litigation, and class action. Within these primary fields, our personal injury attorneys handle a variety of specific case types. If you have been injured by the negligence of another, please contact our firm today. In the United States, every individual accepts a certain level of personal responsibility. When someone’s actions harm others, those injured have the right to seek restitution. Our personal injury lawyers have committed our careers to standing up for those hurt in preventable incidents. Our Philadelphia injury attorneys are thorough, accessible, and experienced. When Anapol Weiss represents you, our awarded team of injury attorneys will serve as your legal advocates. From securing medical care to negotiating with insurance providers, we help our clients with much more than the courtroom. We strive to make your life easier during a time of emotional, physical, and financial hardship. While you focus on recovery, our injury attorneys will dedicate our days to obtaining justice. Ask us anything at any time. Consider us as a friend, supporter, and legal guide. Since 1977, Anapol Weiss has maintained a reputation of excellence in the legal community on a national and local level. Our award-winning personal injury firm operates under one principle: to deliver excellence in support for those we serve. Whether we’re going up against an individual or a large, public corporation, we use the same level of diligence. If you search for a personal injury attorney online, several results will pop up. Yet, not all firms offer the same level of support and guidance. At Anapol Weiss, our injury attorneys look at the big picture in every case. We want to give you the best opportunity for recovery in the future, but we’re also focused on enacting change. When you partner with our Best Lawyer and Super Lawyer award-winning team, you may play a key role in preventing similar incidents in the future. When individuals and companies recognize the consequences of negligence, they take preventative actions. Many of our Philadelphia injury attorneys have initiated changes in company policies and laws for the safety of the general public. If you or someone you love suffered at the hands of another, explore your options. The emotional and physical devastation of an injury can change lives forever. That's why our personal injury lawyers protect your right to recovery through financial compensation. Allow us to serve as your legal representation after a preventable accident. Our injury attorneys will work hard to deliver the best possible outcome. Anapol Weiss has locations throughout Pennsylvania and in Arizona. With strategic office locations, our firm can handle personal injury cases both locally and nationwide. After any serious injury in Philadelphia, talk to one of our personal injury attorneys to learn more about your legal right to take action. For a free consultation, reach out to us today. O ur firm designs the consultation process to help you find the right fit. Ask as many questions as needed to feel confident in your hiring decision. At Anapol Weiss, we look forward to helping you understand the complexities of personal injury cases. Our Philadelphia personal injury attorneys want to offer straightforward information so you can make an informed decision. We hope you’ll give us an opportunity to show you why so many clients choose us over other personal injury firms in Philadelphia. To file a claim, the personal injury attorney you chose needs to hold a current license in the state where you suffered injury. Most attorneys focus their practices on a certain subset of personal injury law. Ask the attorney about his or her practice areas and any cases similar to yours. An attorney with experience representing certain types of injuries may offer better insight. The state bar association keeps records on all disciplinary actions taken against licensed attorneys in the state. In addition to disciplinary information, look at online reviews and ask for references from previous clients. Look for attorneys who demonstrate a high level of dedication and accessibility to each client served. Many personal injury lawsuits settle before reaching trial. In certain cases, formal trials can provide a better case outcome. Find an attorney with extensive experience in both settlements and trials. Each strategy may prove beneficial in different cases. A personal injury attorney should never shy away from pursuing a claim to trial. Talk to attorneys about their approach to personal injury cases. Do they work closely with a network of experts in the area? Will you have access to the lead attorney in your case or associates? What can you expect as a client of the firm? Many personal injury attorneys work on a contingency fee basis. They only accept attorney fees after securing compensation for a client. However, this does not eliminate all fees associated with a claim. Ask for a detailed explanation of possible case fees and payment expectations. An attorney may not offer an exact estimation, but they should explain possible costs associated with a type of claim.